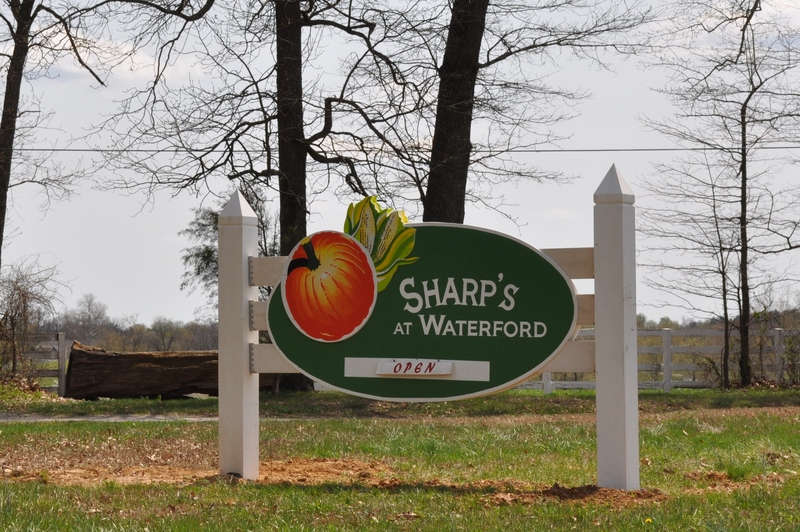 Opening Day at Sharps Farm. They even have a new sign. The road wasn’t as bad as it sometimes is. There was a field trip there when I arrived. Ran into four people right off the bat that I know from gardening and farming. 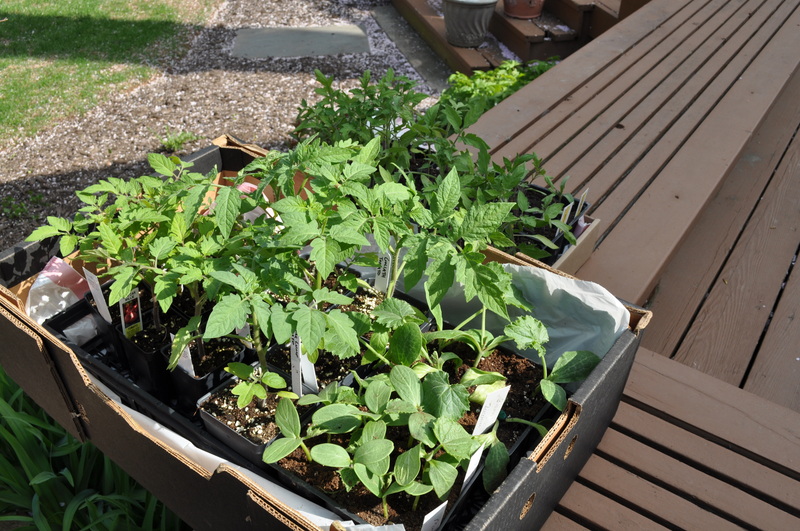 The greenhouse is the place to start. There were strawberries out front. And lots of plugs and pots inside. Plugs are 65 cents each, five cents less once you reach 24. Many pots as well. I came home with 36 plugs and a dozen pots. Mostly tomatoes. A few zucchini. Plus a new one. Mini-white cucumbers. Many heirlooms. Like Goliath. Black Prince. Purple Cherokee. Yellow Brandywine. Sugar Lump. Box Car Willie. Pineapple. A few standbys. Like yellow plum, plum dandy, supersweet 100s, sungold and Carolina gold. 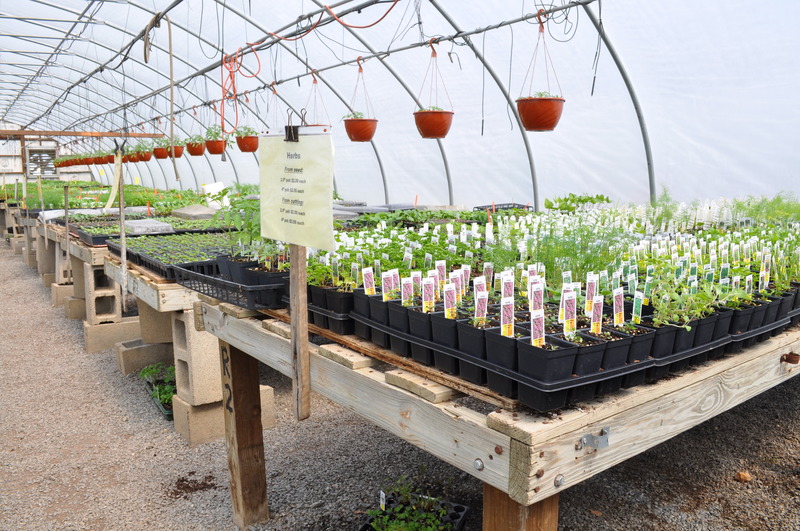 The farm is open Tuesdays through Saturday, 9-6, and Sundays noon til 4. They also sell row cover and hoops at very good prices for those who want to protect plants from bugs or frost. As I said, it is definitely spring when Sharps opens. 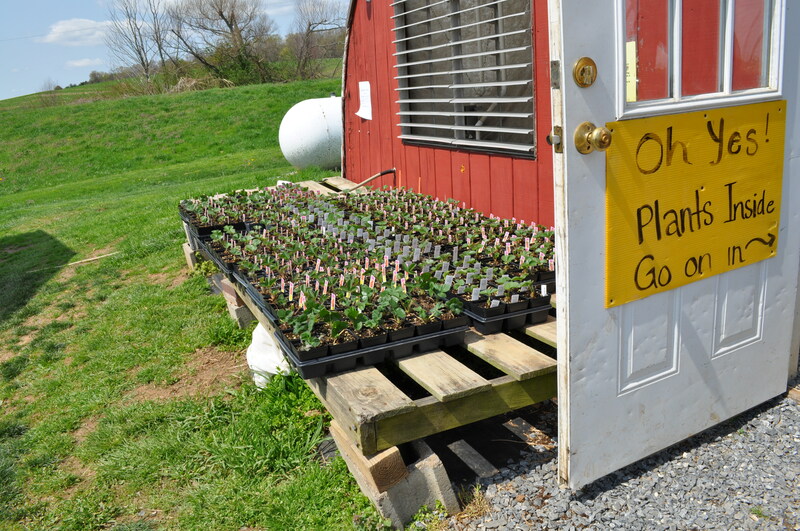 Posted in Farms, Food, Gardening, Howard County, Local Businesses and tagged farms, Food, gardening, heirloom tomatoes, local businesses, tomatoes. Bookmark the permalink.